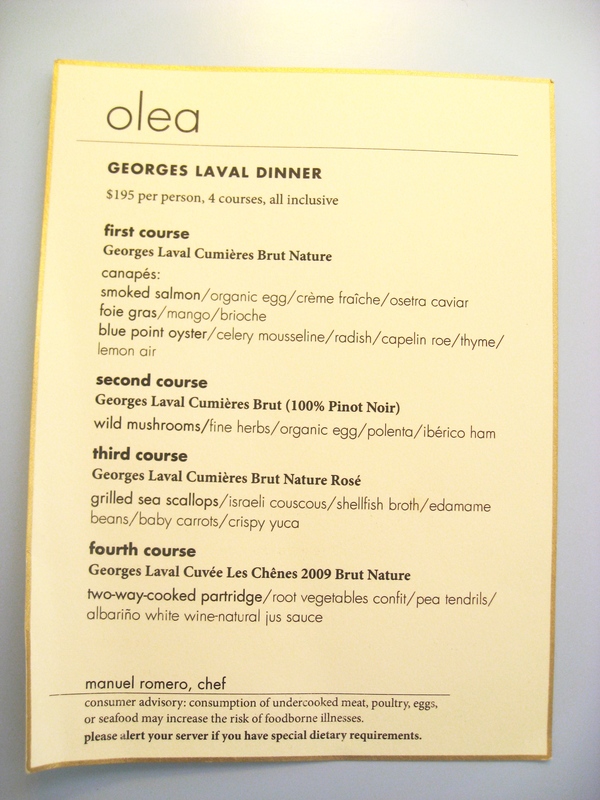 Falling on the heels of the La Fête du Champagne celebration in New York City, Georges Laval’s winemaker, Vincent Laval, hosted a champagne wine dinner at Olea in New Haven Connecticut organized by The Wine Thief wine shop. I along with 50+ guests gathered to hear from Vincent Laval, son of Georges Laval, on how he continues his father’s wine making tradition today. Georges Laval is a small grape grower and champagne producer located on 2.5 hectares in the village of Cumiéres in northeast France in the heart of Champagne. The winery which has been certified organic since 1971 produces 1,100 cases of indigenous-yeast fermented champagne a year. A staff of four (including Vincent himself) work the land and craft the wines by hand. Georges Laval is part of a small but growing trend of growers in Champagne who also produce wine rather than selling their grapes to négociants. Vincent is an organic-wine champion and is the president of the Association Des Champagnes Biologiques (ACB) which promotes organic grape growing and champagne production. 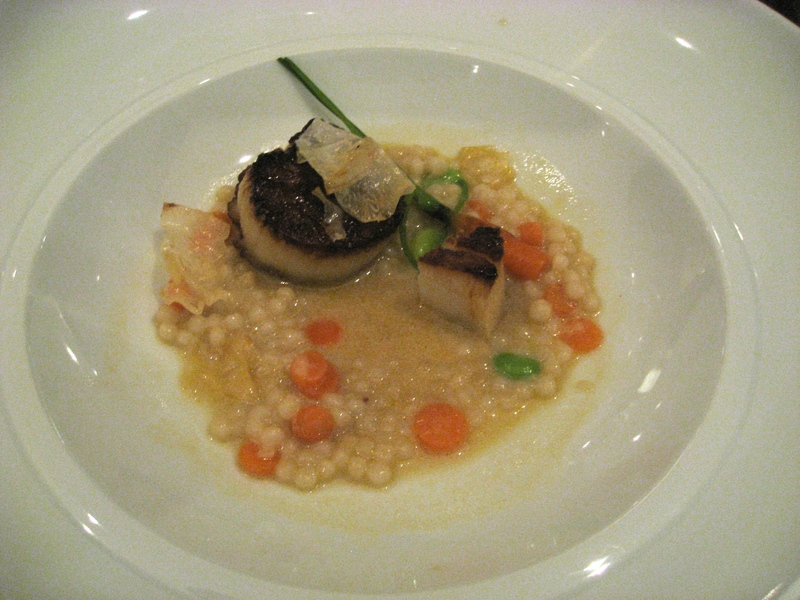 I knew Olea’s Spanish and Mediterranean four-course themed menu prepared by Chef Manuel Romero would pair well with the wines and would justify (as it did) the $195 price for the wine and dinner experience. 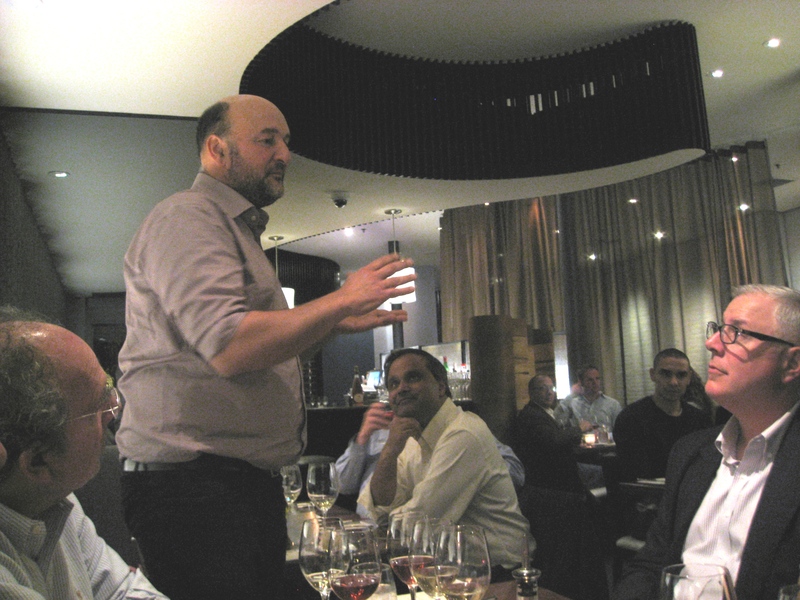 The evening began with a toast as an amiable Vincent walked us through each champagne and menu course. 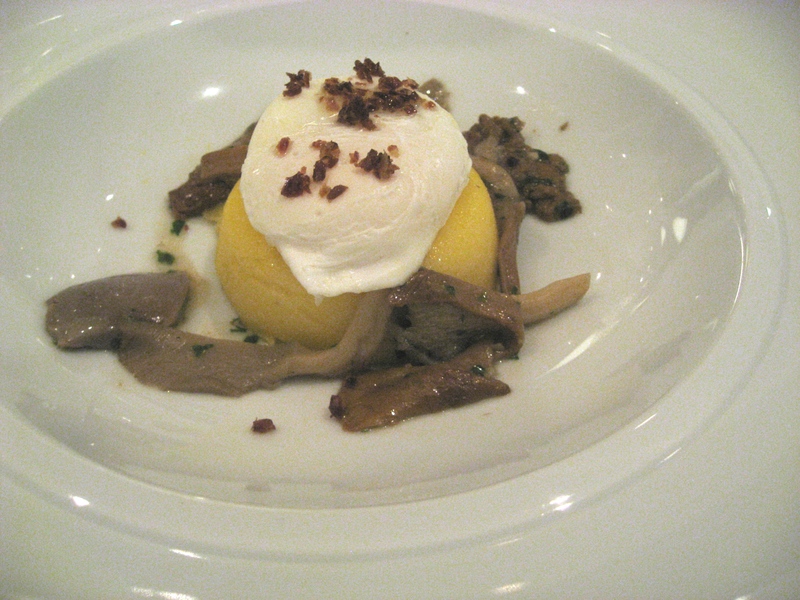 The second-course wine and food pairing with a mushroom and polenta dish was a particular standout. 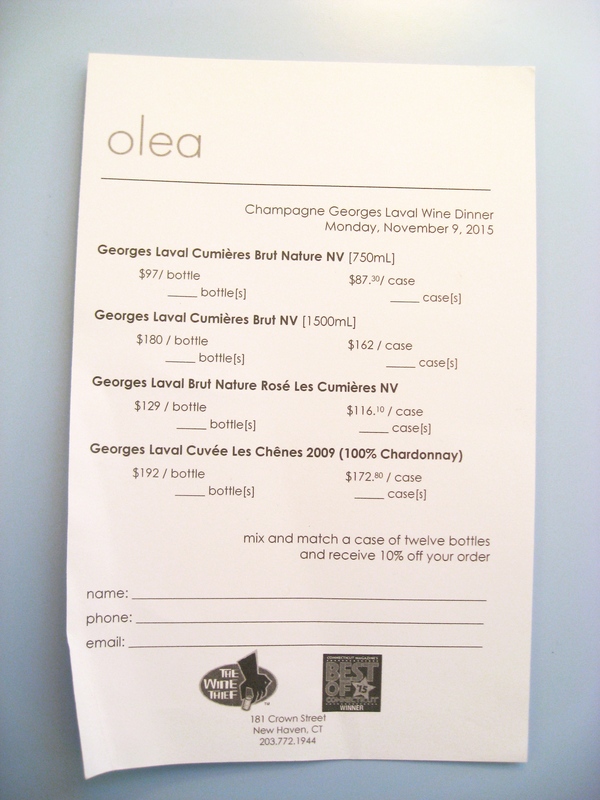 This is the second year Olea has hosted a George Laval themed champagne dinner. 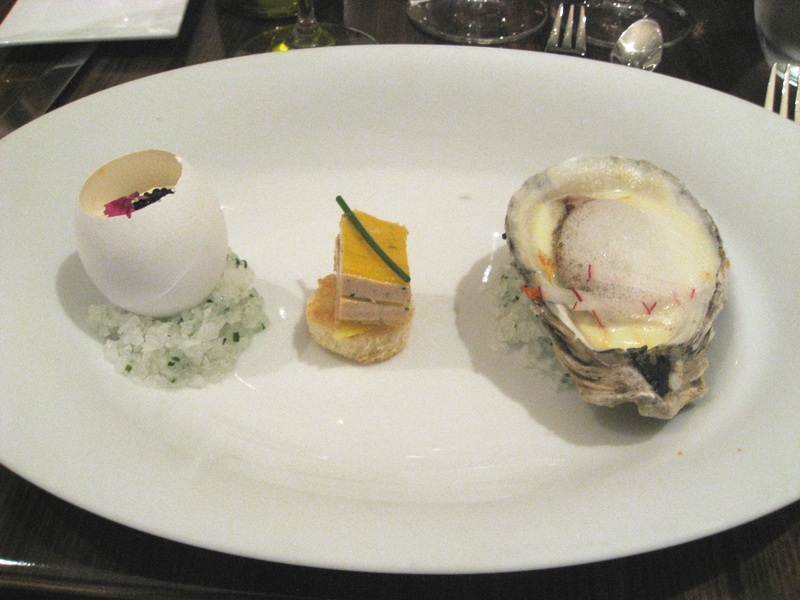 I attended this particular dinner because it gave me the opportunity to try premium sparklers I would be unlikely to sample on my own with the bonus of being paired with an exquisite meal at one of my favorite restaurants. I highly recommend this organic, small-producer, champagne-dinner experience and would give it an A+ on both service/food/experience as well as on the wines themselves.